by Wallace Stegner Author · Jane Smiley Author of introduction, etc. 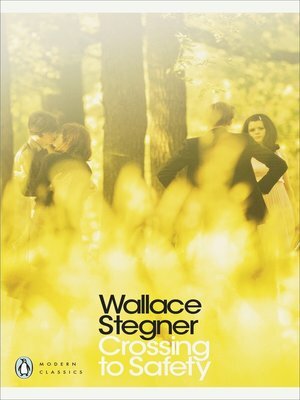 A novel of the friendships and woes of two couples, which tells the story of their lives in lyrical, evocative prose by one of the finest American writers of the late 20th century. When two young couples meet for the first time during the Great Depression, they quickly find they have much in common: Charity Lang and Sally Morgan are both pregnant, while their husbands Sid and Larry both have jobs in the English department at the University of Wisconsin. Immediately a lifelong friendship is born, which becomes increasingly complex as they share decades of love, loyalty, vulnerability and conflict. Written from the perspective of the aging Larry Morgan,Crossing to Safety is a beautiful and deeply moving exploration of the struggle of four people to come to terms with the trials and tragedies of everyday life. With an introduction by Jane Smiley.